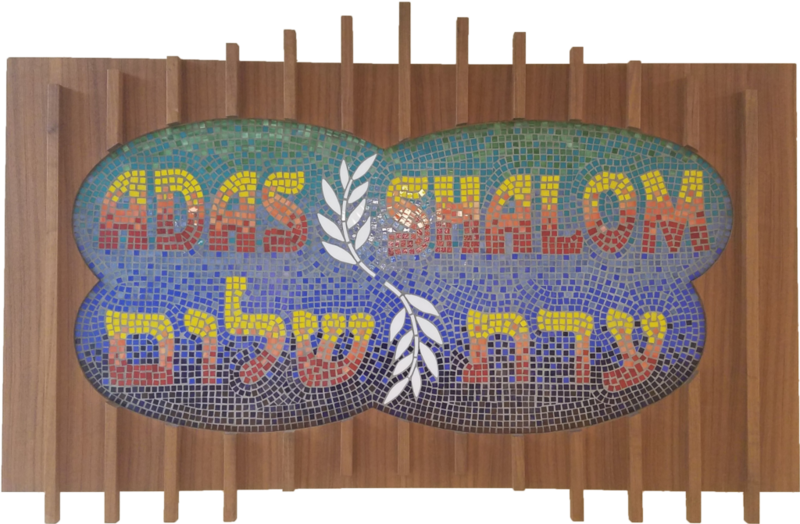 Shalom and welcome to Temple Adas Shalom – The Harford Jewish Center. We offer a friendly and relaxed environment for all Jews and interfaith families. The wide range of programs and activities provide many opportunities to add meaning to our lives and share pleasant experiences with friends and neighbors of the Jewish community. As the only full-service congregation between west Baltimore and Newark, DE, HJC draws its members not only from Harford County, but also from Cecil County, northwest Delaware, and eastern parts of Baltimore County. We have a membership of approximately 160 families. We celebrated our 61st Anniversary in November 2016. Our purpose is to build a strong and vibrant Jewish Community, providing for the spiritual well-being of our members today, and the foundation for the Jewish community in this region in the future. 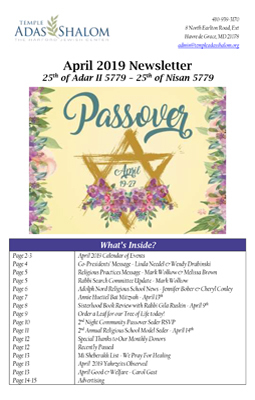 We invite you to join us for an upcoming event or service and learn more about what makes Temple Adas Shalom the center for Jewish life in the greater Baltimore area. A MONTHLY LISTING OF EVENTS, SERVICES AND GENERAL FUN TIMES. 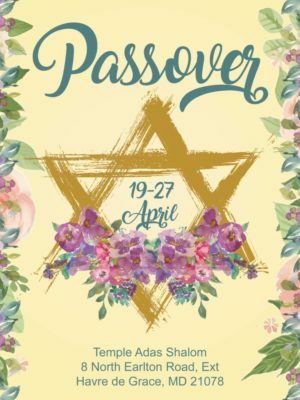 Celebrate Passover with all of us here at Temple Adas Shalom. Join the Tri-Faith Alliance on May 18th. 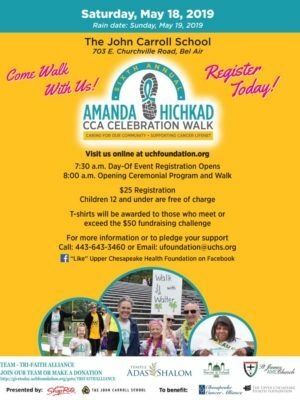 Sign up today or donate by clicking on the picture now.